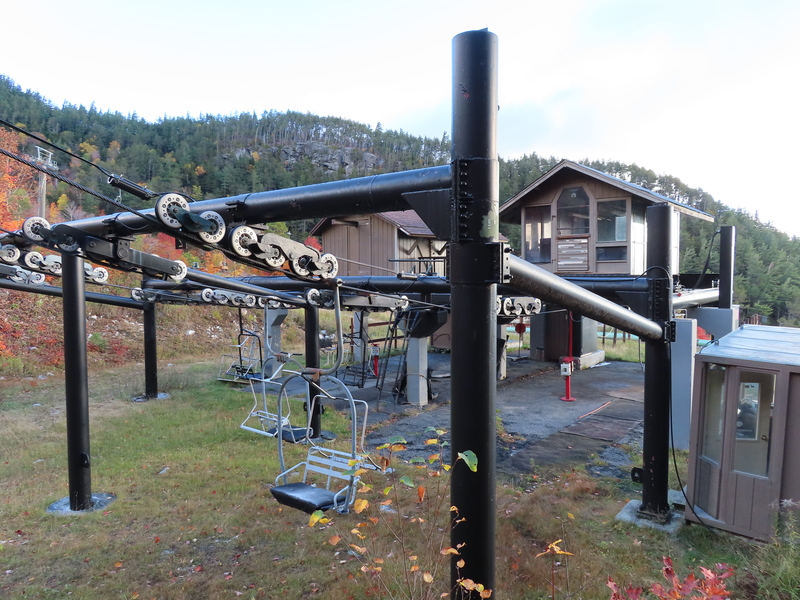 In 1989, CTEC was tasked with adding a second double parallel to the Little Whiteface Hall. CTEC terminal modeled after the Hall one next door. View up from the loading area. 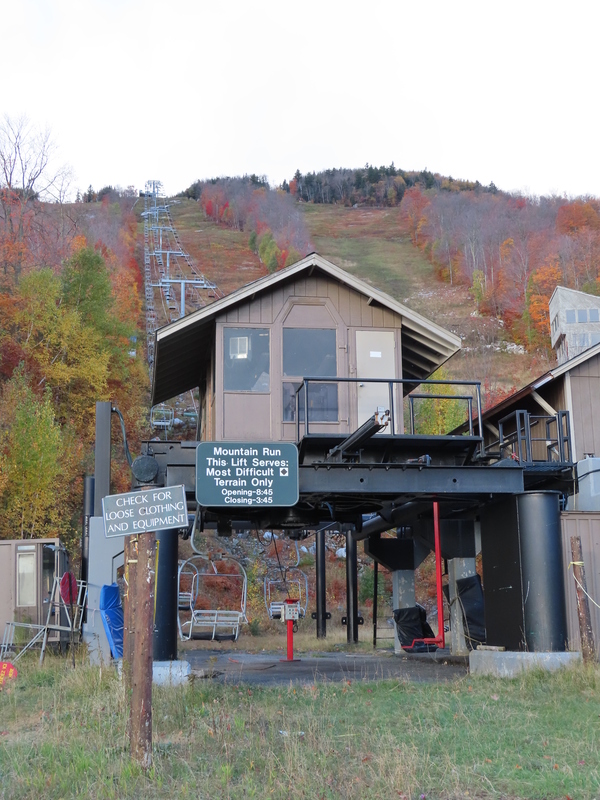 CTEC replaced the Hall towers up to the end of Mountain Run. 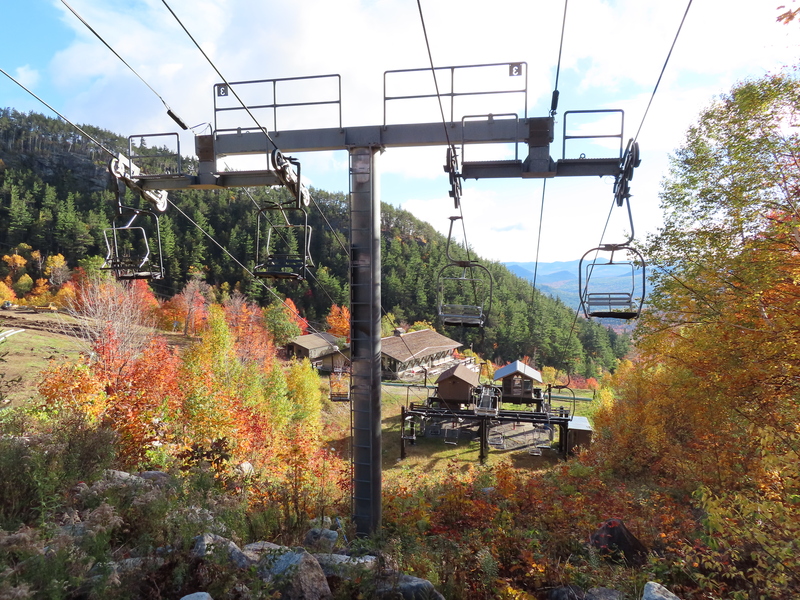 Looking down the steep lift line. 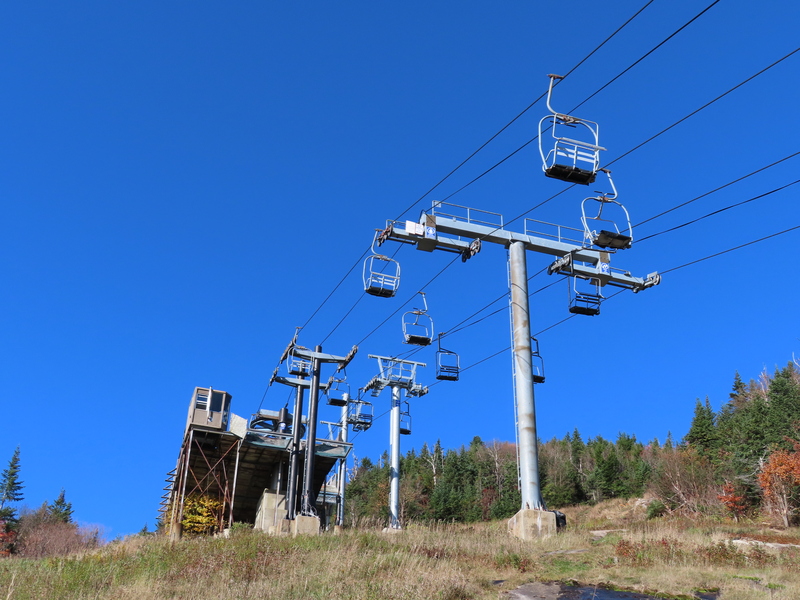 CTEC towers and chair bails with Hall seats from another lift. Side view of the unload. 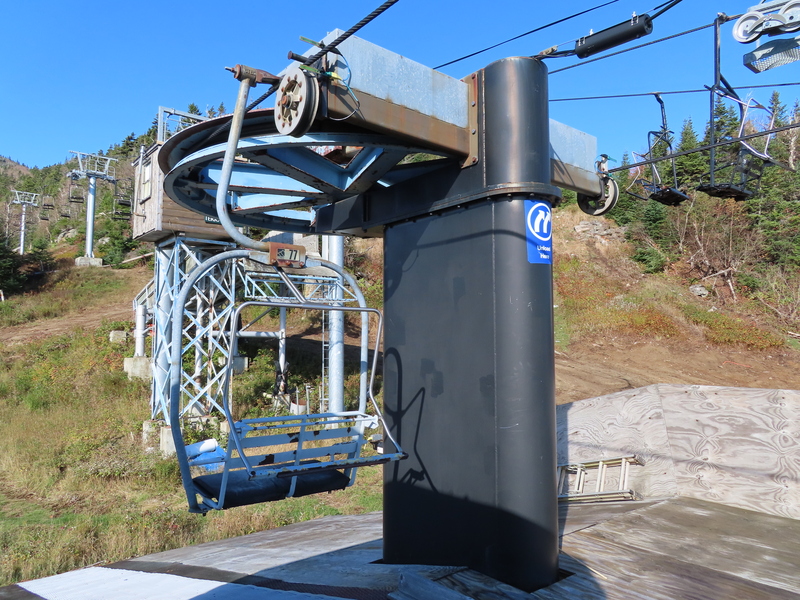 This lift was built using components from the Valley Double, lift 1A. 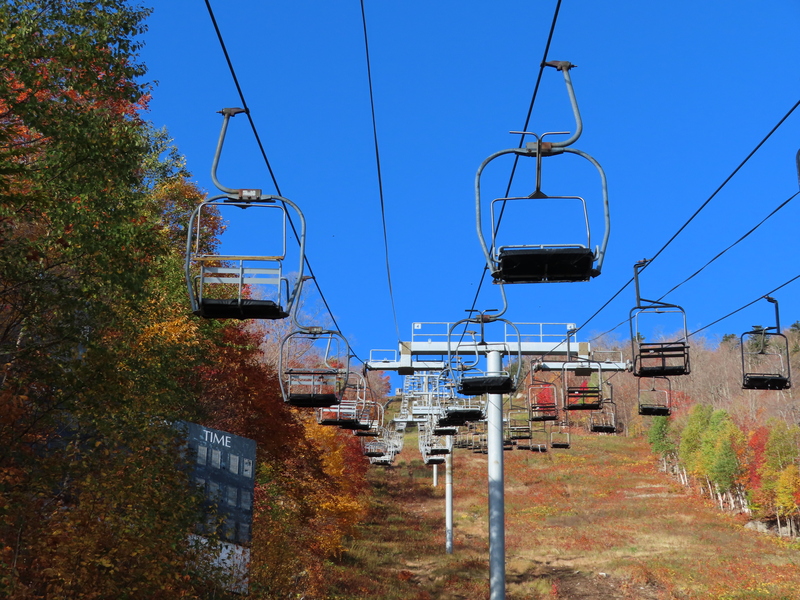 The drive, chair seats, and line gear were all used parts. 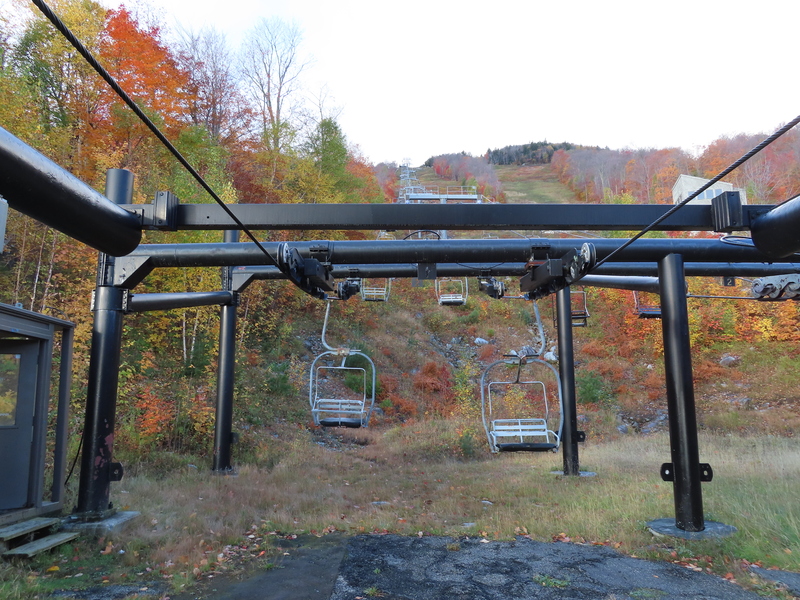 The non-tandem towers were also reused from the lower section of the Little Whiteface lift, but with CTEC crossarms. The return bullwheel is Hall, but mounted on a CTEC structure. 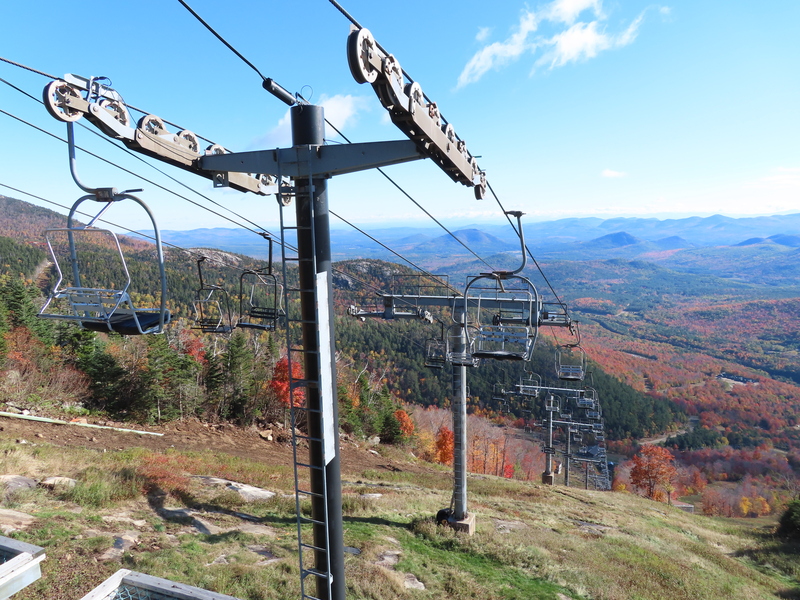 I’m addition to the towers, they added new chair frames and hydraulic tensioning. 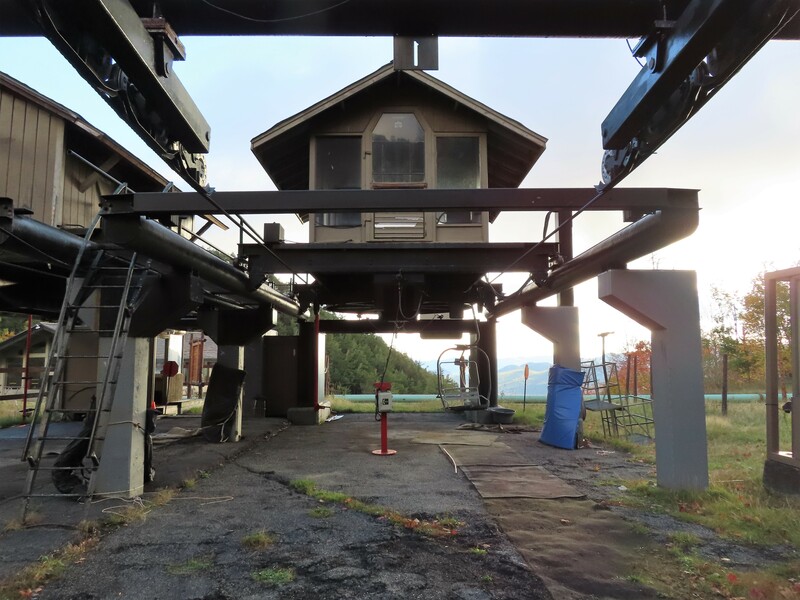 With the installation of the gondola and removal of the Mid Station Shuttle Lift (1B), this lift rarely runs. 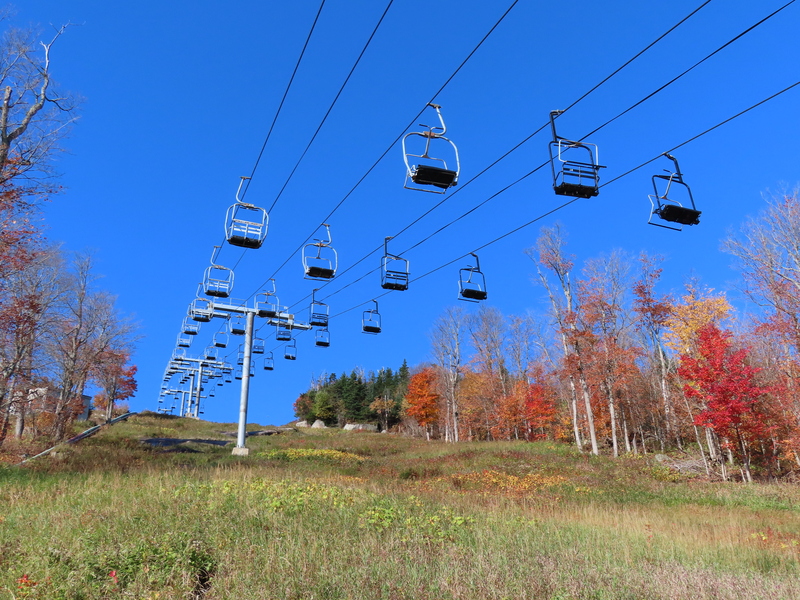 It only ran 10 days at most last season and often not for the entire day. 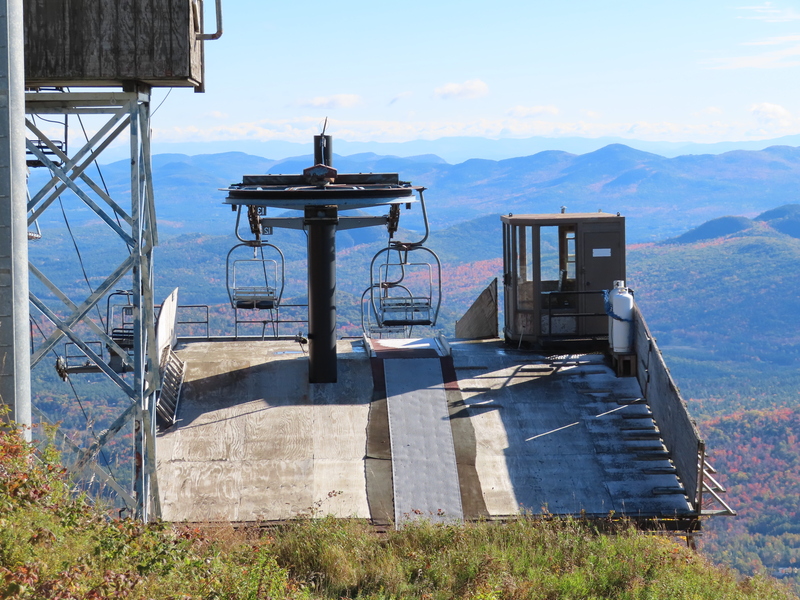 It made sense to install it pre-gondola because the Little Whiteface lift has very little capacity and it allowed the traffic going to mid and the top to be split. 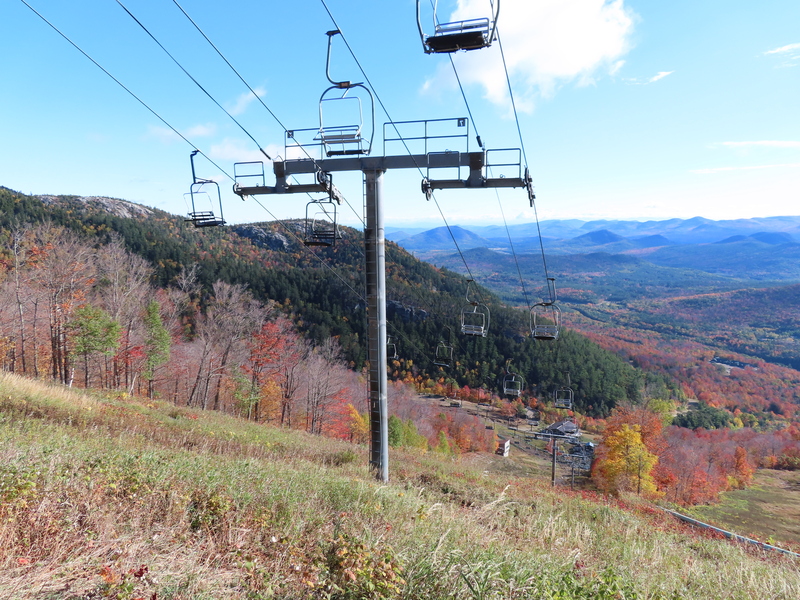 This lift ran today and so did Little Whiteface. Normally it’s one or the other. 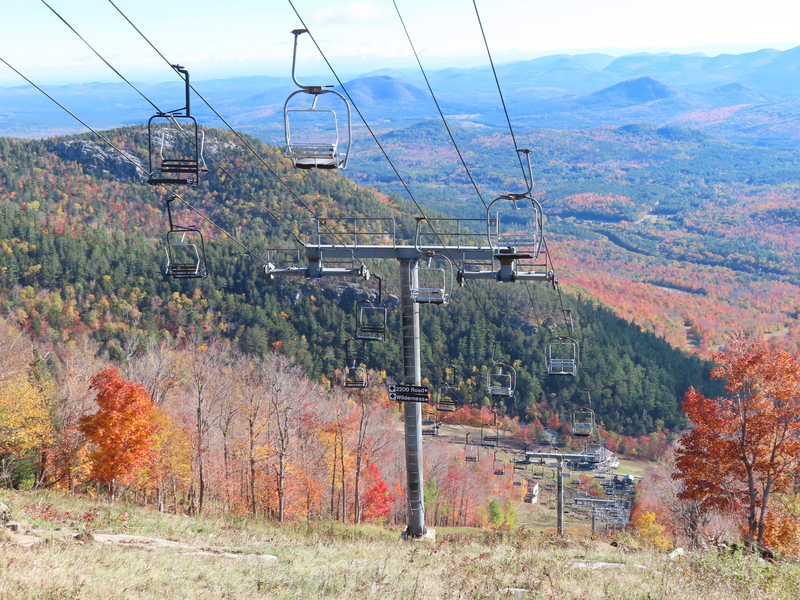 That means it’s usually bad news if this lift is running because Little Whiteface is down and the gondola line is going to be nuts. 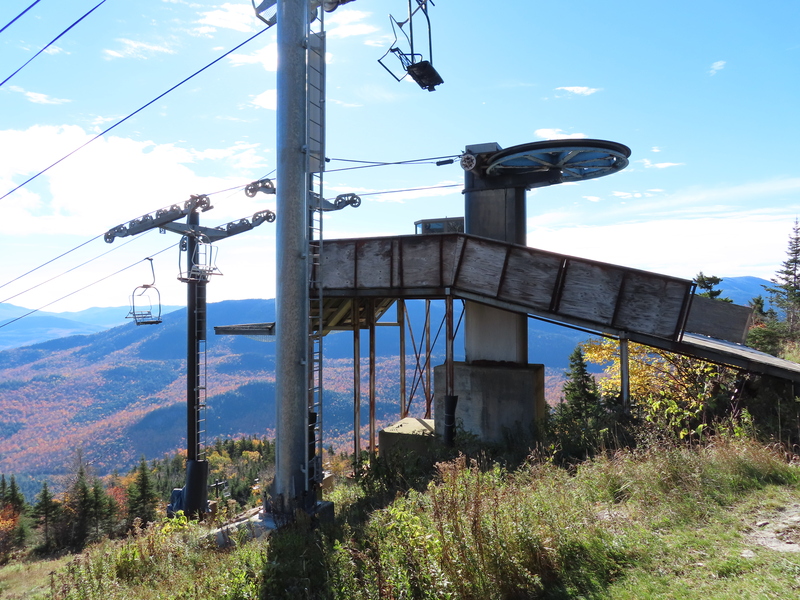 It was so cool getting to see both lifts in action, just like the pre-gondola days (which I wasn’t alive for).